Attention Skill Levels 6-7 in 9-Ball! We have exciting news!! 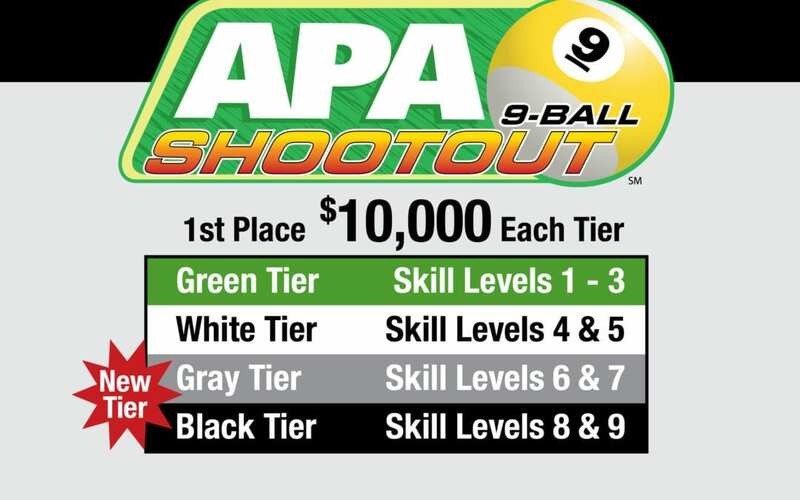 Starting with the 2019 Spring Regionals, a new Gray Tier is being added to the 9-Ball Shootout for skill levels 6-7! Your voices have been heard and we’re excited to deliver! The champion in this new tier will be awarded $10,000 in cash and prizes at the 2019 Poolplayer Championships in Las Vegas. So, contact your Local League Operator today about getting qualified! Click here for more info on the Poolplayer Championships!